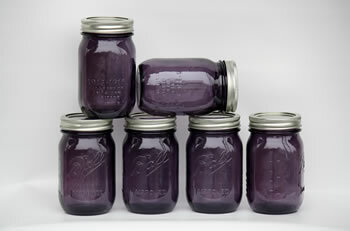 6 regular mouth purple pint canning jars (16 oz). Includes 6 regular mouth flat lids and screw bands for safe/secure preservation. Same quality and structure of regular mouth pint jars. Made in the USA! Preserve American spirit in these limited edition purple mason jars by Ball. Introduced over a century ago, Ball "Improved" mason became a symbol of American perseverance and self-reliance. 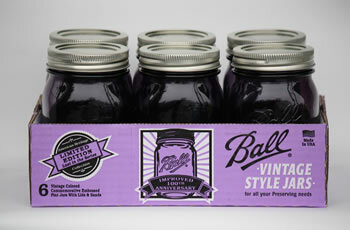 The Ball American Heritage Collection Series is concluded with these rare vintage purple jars.